Anglers fishing Upper Red Lake this spring will again be able to keep four walleye with one more than 17 inches long, state officials said Thursday. The rules continue the same limits that were in place over the winter and during last year's 2017 open-water season. Those regulations allowed for a record high winter catch since 2006, when walleye fishing was reopened there. "Anglers really like the current opportunities to keep lots of walleye on Upper Red Lake," Gary Barnard, the Minnesota Department of Natural Resources area fisheries supervisor in Bemidji, said in a statement. "These regulations serve a specific purpose now, but we want to be clear that eventually we may need to pull back." The Upper Red Lake rules stand in contrast to walleye fishing at Lake Mille Lacs, which will remain catch-and-release only this season. Upper Red Lake was reopened to walleye fishing in 2006 after being closed in the 1990s due to overfishing that nearly ruined the fishery. State and tribal officials keep close tabs on the numbers now and that's helped the walleye population recover. The current management plan "recommends an aggressive approach when walleye spawning stock is in surplus, as it currently is," the DNR said Thursday. "Surplus spawning stock means that there are more adult spawners than needed for good reproduction," the agency said. "Removing some of the excess is good for the population since it will improve growth and survival of young fish." 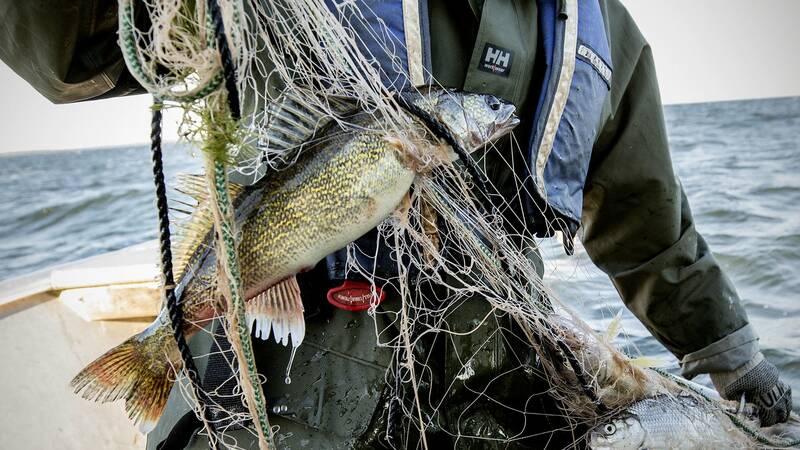 Minnesota's open-water walleye fishing season opens May 12.